TAG, YOU’RE IT! Dog Tags. Which are really People Tags. So, do Military Dogs, have Dog Tags? And if so, are they Dog Dog Tags? There are Pet Tags which are for Dogs. And Cats. Possibly Hamsters, but I don’t think so. 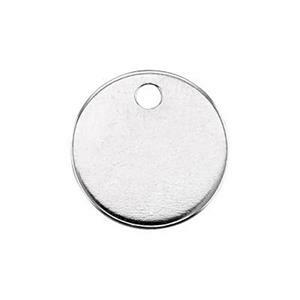 In Sterling Silver, 9mm Round Blank Tags, 24 gauge with a 1mm hole, our tags can be for anyone or anything your imaginative mind wants to create. Maybe it’s just what those overlooked hamsters need.